Super Location......1 mile north of Grant Circle........very easy access to Route 128. FABulous garden style condo...............all one one level.......now available at The Seasons! This condo is on the ground level, so there are NO stairs or elevators to deal with! This Spacious 2 bedroom, 2 FULL bath condo features an Open Floor plan, gleaming hardwood floors throughout except the bedrooms, Granite counter tops, Cherry cabinets, Stainless Steel Appliances, a Cozy Gas Fireplace, an oversized Jacuzzi to relax, plenty of room for a dining area, additional storage area.....and Much more. LOW monthly condo fee of only $331.00 gives you access to the exercise room and meeting rooms downstairs. 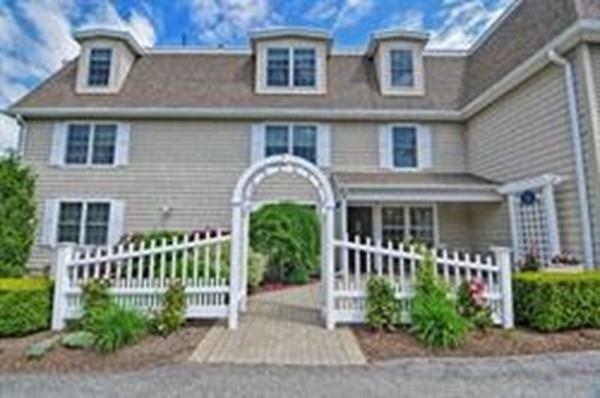 This Really is a Must see if you are interested in a 55+ community for Under $1, 000, 000. in Gloucester!! Easy to Show ! !